For close to a century, 'Murder on the Orient Express' has been the ultimate train adventure. Until now. Currently raking in serious money at the box office (they’ve already announced plans for a sequel), the latest film adaptation of Agatha Christie’s Murder on the Orient Express would seem to have confirmed once and for all that when it comes to iconic rail journeys, that particular trans-European trip reigns supreme. Or does it? It’s time to finally put Christie’s high-class murder venue to a real test – by putting it up against Australia’s The Ghan for the title of best train trip ever. At first glance, the Orient Express would seem to have this won hands down. It’s not just about a murder, but a murder mystery – it just doesn’t get more exciting than that. But let’s get real: who wants to take a trip on a train with a body count? We’re talking here about luxury travel in the golden age of rail – a stabbing seems more like the kind of thing you’d get on the 1:10am to Frankston. When you’re taking the train, excitement is the last thing you really want. Train travel is all about relaxation. With all the mounting pressures on our time, being able to allow the time to take it slow is the supreme luxury. Travelling on The Ghan is all about relaxing and taking your time; being murdered is the textbook definition of running out of time. Again, this looks like a walkover for the Orient Express. A whodunit is the most engaging kind of mystery, and Murder on the Orient Express is renowned as a classic of the genre. Only thing is, by being a 90-year-old classic, there’s a greater than usual chance you already know whodunit – especially as there was already a hit movie version made in the 1970s and a 2010 TV adaption as part of the BBC’s critically acclaimed Poirot series (with David Suchet as Poirot). And if you already know who’s responsible, what’s the point of the mystery? The other thing to note is that if you’re a fan of murder mysteries, especially the kind where you’re meant to be able to solve the crime by following all the clues, then Murder on the Orient Express is notorious for being a story that doesn’t really play fair. No spoilers here, but let’s just say this is one time where Christie decided to keep the mystery going just a little too far. So we’re talking about a mystery you might already know the answer to, but if you don’t know the answer, you might feel cheated by it. Looks like The Ghan wins again. Do they even have scenery in Murder on the Orient Express? They leave Istanbul, you occasionally catch a glimpse of some countryside behind one character or another, and next thing you know the train is stuck in the snow and there’s nothing to look at but a chilly and unchanging expanse of whiteness for the rest of the story. There may be plenty of reasons to watch Murder on the Orient Express, but seeing the sights is definitely not one of them. The Ghan, on the other hand, travels through the heart of some of the most scenic landscapes in the world. There’s a reason why almost all the Australian films that become international hits are set in the outback – it’s an amazing sight and there’s no better way to see it than The Ghan. Then there’s the wildlife: wild camels, kangaroos, endless bush and a colourful collection of locals – and that’s before you get to Alice Springs. The Ghan wins this one hands down, then brings some friends over to put even more hands down. Whoever said getting there is half the fun probably wasn’t talking about taking the train, but they should have been – there’s something about the slow rhythmic rocking of the train and the way it travels through the landscape rather than apart from it (wherever you go on a road, you’re always aware you’re on a road) that makes it special. 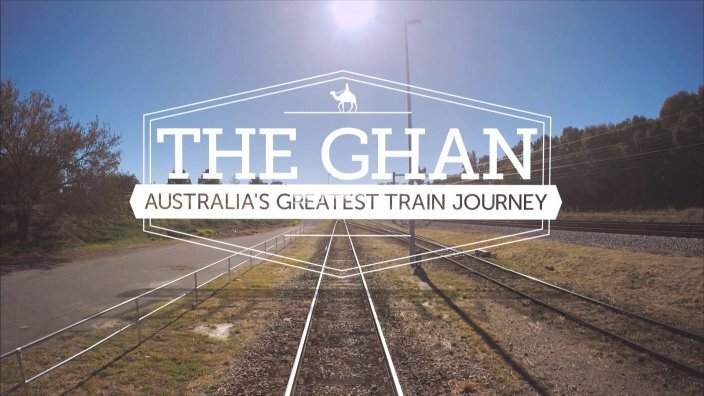 That’s why train journeys like The Ghan have been a natural focus for Slow TV – once you’re on board, you don’t have to do anything but sit back and take in the view. They’re the perfect combination of enthralling visuals and a relaxing vibe. But Murder on the Orient Express has nothing to do with that. It doesn’t even have to take place on a train. Any other isolated setting with a collection of strangers would do just as well. If it didn’t have Orient Express right there in the title most people would barely realise it’s taking place on a train. And when you’re comparing train journeys, not knowing you’re even on a train? That right there is the knockout blow.